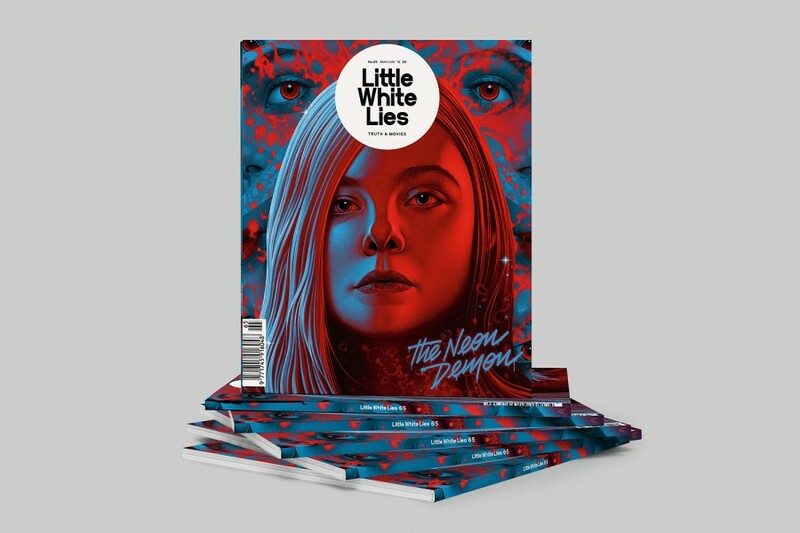 For our latest print edition we decided to check in with our old pal Nicolas Winding Refn, whose new film The Neon Demon places the LA fashion scene under a blood- and glitter-flecked microscope. Or, at least, the film takes the world of fashion is the glossy contextual backdrop for something deeper, seamier, stranger and more potent – a film about the industrial-scale commoditisation of physical beauty. The Neon Demon director reveals his lesser-seen feminine side. Interview by Adam Woodward. The films of Nicolas Winding Refn gauged by level of brutality. We go deep on a seminal track by one of Nicolas Winding Refn’s favourite bands. By Mathilde Dumazet. 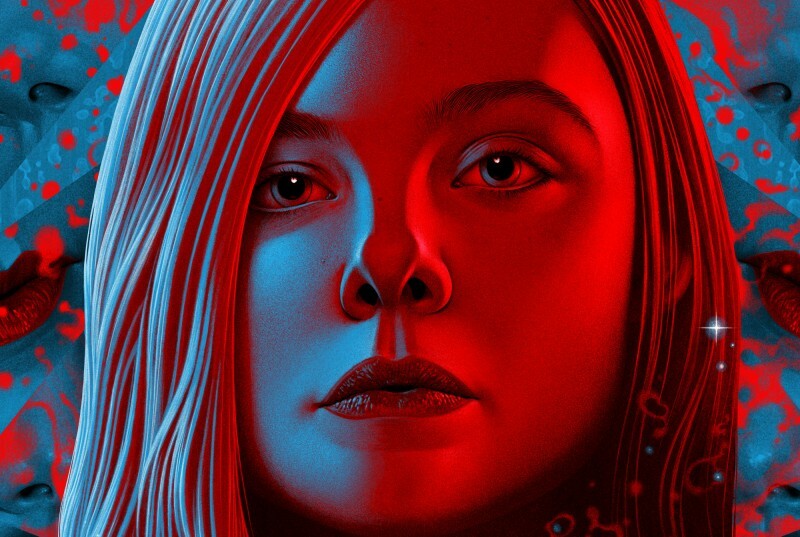 Elle Fanning talks The Neon Demon and her recent embrace of the dark side. Interview by David Jenkins. We delve into the soiled pages of this rancid literary classic. By Adam Lee Davies. Does cinema have anything interesting to say about the world of modelling? We ask twin models/cinephiles Elena and Manuela Lazic for the answer. A searche for the endless poetry of this mad Chilean maestro. By Anton Bitel. Jeff Goldblum ponders questions of life in the outer cosmos ahead of Independence Day: Resurgence; Christian Bale talks LA, music and Knight of Cups; Natalie Portman opens up about her debut feature and working with Terrence Malick; Apichatpong Weerasethakul reveals his love of Steven Spielberg; Richard Linklater talks baseball ahead of his phenomenal Everybody Wants Some!! ; Whit Stillman discusses about run-ins with the Jane Austen Society ahead of his Love & Friendship; Hiromasa Yonebayashi on being the director of Studio Ghibli’s final movie offering; Jeremy Saulnier lets us enter his Green Room; Deniz Gamze Ergüven challenges Turkey’s patriarchal society in Mustang. 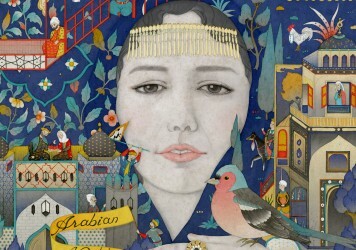 Matteo Garrone spins his Tale of Tales; Laurie Anderson has the Heart of a Dog; an impressive Ibsen adaptation from Australia arrives in the form of The Daughter; we take a stroll around Apichatpong Weerasethakul’s Cemetery of Splendour; Michael Moore tells us Where to Invade Next; John Carney accompanies us down his Sing Street; Gianfranco Rossi offers up a Berlin Golden Bear-winner in Fire at Sea; Greta Gerwig reveals Maggie’s Plan; we succumb to the Embrace of the Serpent; Ewan McGregor is Our Kind of Traitor; Lucile Hadzihalilovic takes us on a strange journey in Evolution; and Chantal Akerman leaves us with a stunning swansong in No Home Movie. A Home Ents special looking at a new box set celebrating the work of Brit maverick Alan Clarke, and Ex-Rent Hell takes a gander at tawdry ’80s flatpack moviemaking in the form of Michael Gottlieb’s Mannequin. The Neon Demon is released in UK cinemas 6 July. 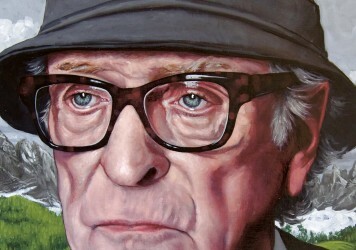 Take a look inside our latest print edition in which we meet British screen icon Michael Caine.